Mercury is getting direct in Capricorn on February 11, 2015. This state of Mercury will bring benefits or losses for some. BUt, what kind of effects these could be? 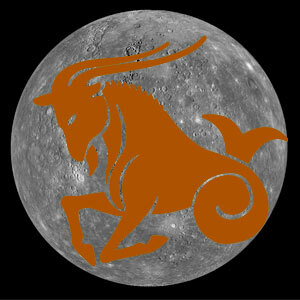 Read them in detail with Mercury Direct In Capricorn. Mercury will turn direct on February 11, 2015. It is transiting in Capricorn. Different signs will get affected in following manner. Time is going to be favorable for Arians. If any legal matter is under process, you are likely to get success in it. Your writing will improve. Some reputed or significant events are likely to take place for natives who are in journalism or sports. Discomfort is possible in domestic life, but there is nothing to worry about. Long journeys will remain fruitful. Your servants and subordinates will cooperate. Mercury is lord of second house and fifth house for you, so it will produce favorable results after getting direct. Possibilities are arising of gaining money from gambling and stock market. You will get an opportunity to spend some quality time with family. Love relationships will intensify. You are also likely to spend a lot for your beloved. Some sensitive heartfelt emotions will arise in you. Great profits are likely to come from friends. Any of your halted task will get complete through an old person. The state of indecisiveness will come to an end, but confusions will remain. You have to stay restrained. Risk of loss of respect and reputation will be there. Tensions related to health problems are also possible. Disputes may occur with brothers. You are likely to gain a lot at workplace. Expenses are possible on shopping of luxury items. Mercury is not considered auspicious for Cancerians. It is the lord of twelfth house which is the house of expenses. By coming in seventh house it will turn your expenses toward business or life partner. Negative aspect of Saturn will also not let you gain any profit. Problems will prevail in personal life. You will feel restless and unsatisfied. Wastage of money is possible on small journeys. Financial problems are possible due to transit of lord of second house and eleventh house in sixth house. You may have to suffer losses due to friends. A sense of hatred will arise in your mind. Enemies will try to harm you. You are required to exercise regularly for maintaining good health. It would be good for you to maintain a distance from alcohol. Your uncle is likely to get good profits. You will not feel satisfied with your job. Possibilities of getting a better option from present job are also there. You will not be able to concentrate in work rather your interest will increase in fun & frolic. It would be good for you to spend time with family. You will take interest in sharing your advices with people. Time will also remain favorable for your life-partner and his/her income will increase. He/she will come in contact of new people. Time is also good for your business partnership. Mercury is lord of your ninth and twelfth house. Presence of Mercury in fourth house can increase your social circle. You may come in contact with distant friends. Prosperous atmosphere will prevail at home. Your father’s health may remain weak. Spirituality of mother is likely to increase. Small disputes may occur with siblings. You have to take care of your health. It would be good for you to stay away from any kind of addiction. You should avoid the company of strangers and unhygienic places. Sudden financial profits are likely to occur. Some unexpected guests may visit your home. Expenses of your father will increase. Disputes may occur with wife. Keep your ego under control and avoid show-off. Both problems and solutions will run together at workplace. You have to face a little or great disappointment at almost every place. You father is likely to meet one of his old friend. Your brother or sister may have to face some health issues, but mother will feel good. Problems are possible in your shoulders. You will get a chance to lead a big task. Your support will increase in spiritual tasks. Chances of going on long distance journeys will arise. Some fever may trouble your mother. A sense of indecisiveness will surround your mind. Life partners of your siblings will perform great at workplace. You may have to face some problems due to servants. You may give something as charity in temple or for its construction. You will feel less interested in work. Unnecessary disputes will arise with people. Situations may arise of changing residence. Your father may go for a long distance journey. Your aunt is likely to gain money. Problem of itching is possible for you. Pain in eyes is possible. You may face financial losses due to any of your wrong decision. A shortage of communication will come with friends. You will devote yourself in accomplishing a major task. You may get a good news or letter. You may buy some new things. Expenses of your father are likely to increase. Health issues are possible to mother. Your father is likely to get a good news in job. Health of your grandparents may decline.